10 Nissan, BMW, Porsche models are banned from South Korea for emissions cheating. 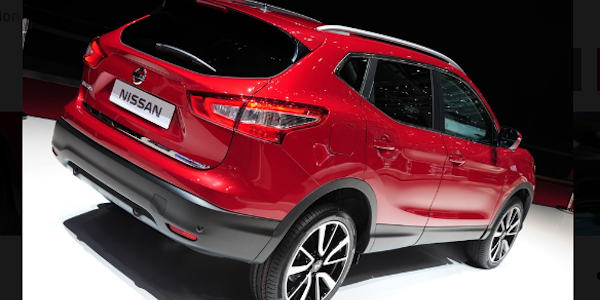 One is the popular Nissan Qashqai compact crossover coming to US shores. Right before Nissan unveils their small crossover called Qashqai at NAIAS, they’ve been banned from selling the compact crossover in South Korea. Nissan, BMW and Porsche have 10 vehicles banned by the South Korean government after the carmakers were found to have fabricated certification documents, in the latest fallout from the Volkswagen emissions scandal. The popular Nissan Qashqai compact crossover is going to be sold here in the U.S. and its diesel variant is one of the cars banned by the environment ministry. The automakers are being fined a combined 7.17 billion won ($5.9 million) for the affected 4,523 vehicles already sold in South Korea. We reported back in May, Nissan originally denied the allegations from the South Korean Ministry of the Environment who says Nissan used emissions-cheating software in its Qashqai that shuts off the small crossover’s exhaust reduction system during normal driving conditions. A report from Reuters, says, Nissan and BMW AG acknowledged the findings in the government investigation, saying they would try to achieve certification for those affected models again. The report says, a spokesperson at Porsche AG, which is owned by Volkswagen, was not available for comment. Nissan won’t be selling the Qashqai diesel model in the U.S. when it arrives later this year. In the UK, it’s powered by two gasoline turbocharged engines, either the DIG-T 115 or the powerful DIG-T 163 with its 240Nm (177 lb. ft) of torque. They come mated to either a 6-speed manual gearbox or with the Xtronic automatic transmission. The popular European Nissan Qashqai compact crossover is banned for now in South Korea. It’s coming to U.S. shores and will be unveiled at the North American International Auto Show in Detroit next week. Interesting piece...question: are they using anything like the "defeat device" that VW has used on its 2.0- and 3.0-liter turbodiesels? @Marc It is similar but not the same. These cars were built in Sunderland, UK, but the diesels are built by Renault. Renault appears to use a similar all-software test detection system, or at least something that just happens to produce less emissions during standard tests. So far Renault has avoided a blow-up, so it's possible that Sunderland just tuned the "feature" more aggressively. I suspect that every diesel engine manufacturer will eventually be implicated in this. Just as every car manufacturers' mileage numbers (which also translate to emissions) have always been hokum, it appears that the emission numbers are equally BS. Time for better and more aggressive testing. Perhaps, it's time for new power sources. In the early days of motoring, steam cars were the rage, the only problem was they had terrible mileage. Not gasoline mileage, but, water. They ran out of water after a relatively few miles. Still, though the miles-per-H2O were atrocious, the honest emissions from steam was just the water, air and CO2, which can be controlled. It is easier to clean them up. Now, rather than using open steam cycle cars (the water just is used and boils away) there are other closed steam cycle engines that have proven their worth over time, though not in automotive applications. Maybe they should be looked at in light of the new realities. And, then, of course, there are fuel-cells, full EVs and so on. Yes, I like a good internal combustion engine as much as the next person, but, if they can't be cleaned up in truth, maybe it is time to retire them in favor of something else.